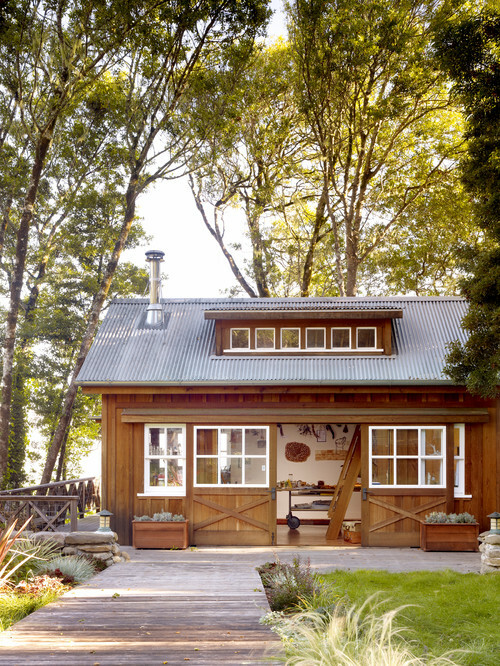 Turn on HGTV today and chances are you might see one of the popular tiny home shows. Before the economic downfall, the housing trend was leaning toward McMansions and then around 2009 a movement toward small house living was launched. You’ve probably seen those tiny houses that are less than 500 square feet in size. 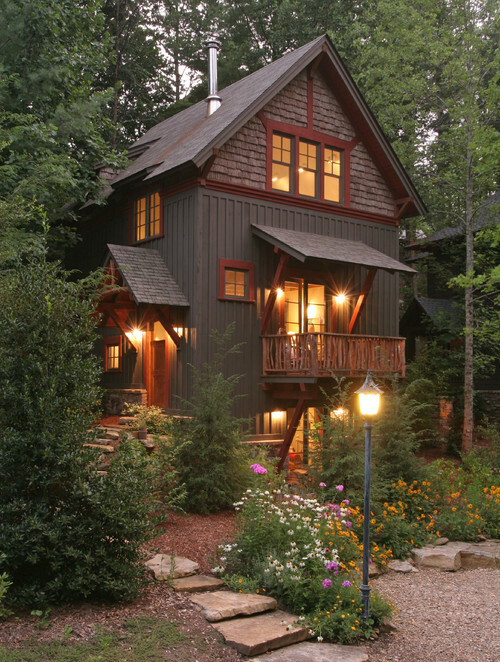 While that’s a little small for my liking (I have claustrophobia), I can see the attraction toward cozier cottages. How adorable is this house? It has quality features like you see in larger homes, like a nice front porch, attractive wooden door, brick walkway, and more. I could see myself living here. 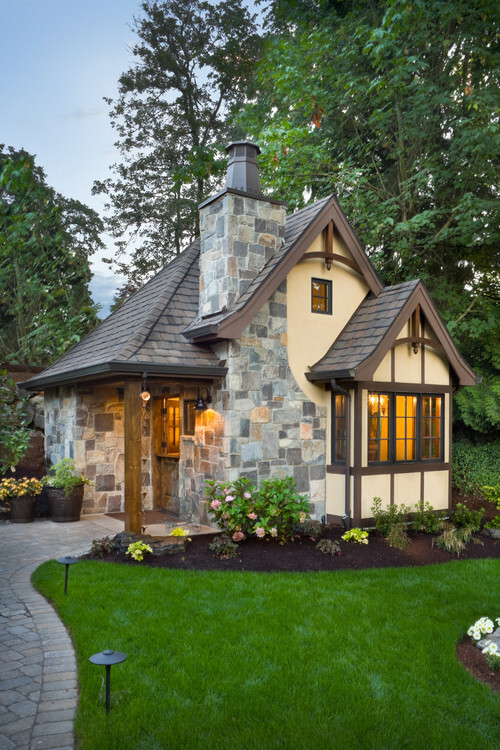 This tudor style cottage reminds me of something out of a fairytale. It has a lot of charm and curb appeal. While this home is small, it’s definitely more expansive than most tiny houses you see today. 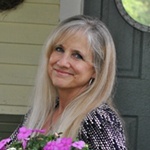 The small house living movement got its start with the book Not So Big House written by Sarah Susanka. Smaller houses mean less cleaning and upkeep, which is really attractive to some people who are looking to simplify life. Bethesda Kitchen & Bath Remodelers Case Design/Remodeling, Inc. 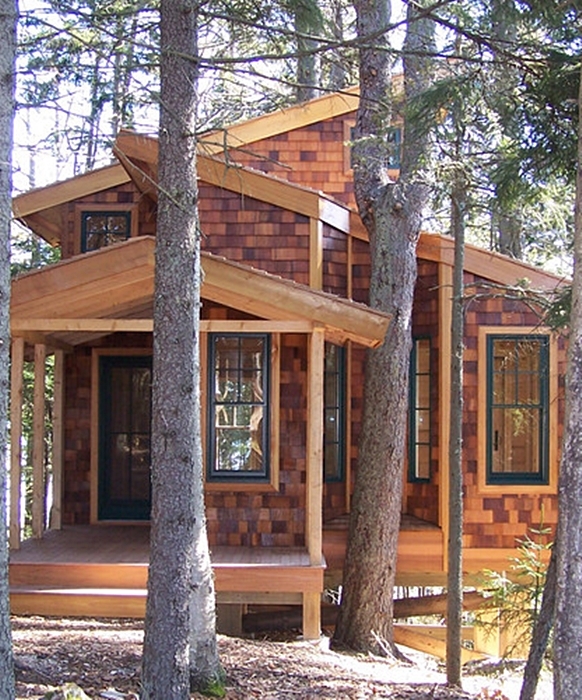 If you don’t feel you could live in a small or tiny house, perhaps you could have one for a vacation home. I just adore this Southern charmer! Small houses don’t have to be a boring box. My first home was a little bungalow like this, and I would move back into it in a heartbeat. Every corner of that house inside and out oozed charm. Here’s a cool little house in the woods! Now this house is truly tiny! Could you live here? Photo by LMD Homes, Corp.
Do you think you could live in a small or tiny home? I love living in a small house. The last house we lived in was quite a bit larger with around 2500 square feet, while the house we live in now is only 1300 square feet. Sometimes only having one bathroom to share between seven people can be a pain, but the last house had three bathrooms, and I had to clean them all! When you live in a smaller house, you have less stuff, too, because there is less space to keep it all. It’s so much nicer cleaning and organizing a small house. My favorite houses shown here were the Cape and the little gray bungalow. So cute! I love the rustic cabin! In fact, that may be my dream home. I live in a small Tudor and I love it. It has forced us to be very smart with the space we have and spend lots of time together. I do not feel that the character and charm of our home be afoldable or easily paralleled in a larger home. It is a tiny treasure! Only wish is that it sat on a little more land. OUUUUAAAHHH !!! I like the two rustic houses…..my dream, living in this houses. Cleaning and maintaining a smaller home appeals to me as well. I like the Laguna Beach house and Portland guest house. I love the first one with the porch. We live in a 1500 sq. ft. home and I could easily go smaller. I love the cozy feel. I agree, the smaller home allows a better budget for the details and is easier to clean. Enjoyed this post, Jennifer! These small homes are adorable! I could live in the cape cod style one or the grey one with the bay window I think. Think how much less stuff we’d have! Our home isn’t that large to start with and the more space one has I think we tend to have more stuff. It’s amazing where one can store things and then forget we have them! Have a great day! The charm of small cottages ! If you are giving away homes I pick…the stone cottage. It looks like it overlooks the rolling hills of Pennsylvania. I like that most stone houses have those great deep windowsills, another place for a white pitcher of wild flowers…can’t you just close your eyes and see it. My husband says he likes the look of stone house, you only have to paint window frames and the door…. Love the small cottages-I live in a a 1500 sq. foot farm house and love the size (most of the time). It is cozy and light and bright and easy to clean! I could totally see myself living in one of them especially if they were mortgage free! 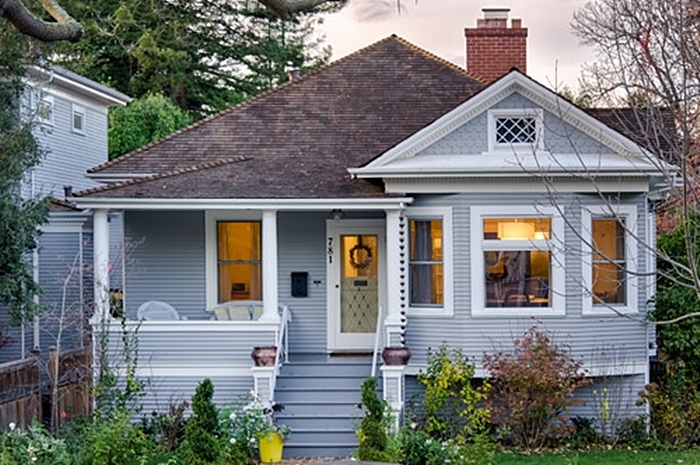 I much prefer a smaller home that wouldn’t require a ton of maintenance and cleaning. Thought provoking post Jennifer! I really think the “smaller” living movement is starting to catch on. When I received this months issue of Country Living magazine they did a whole spread on small house living. Also, I believe HGTV has a new show called “Tiny House Living”. Our home is 1750 sq. foot and its the perfect size for just my husband and I. Its not too big but its not too small. I really love that Tudor and bungalow! They are really getting creative in designing these homes. 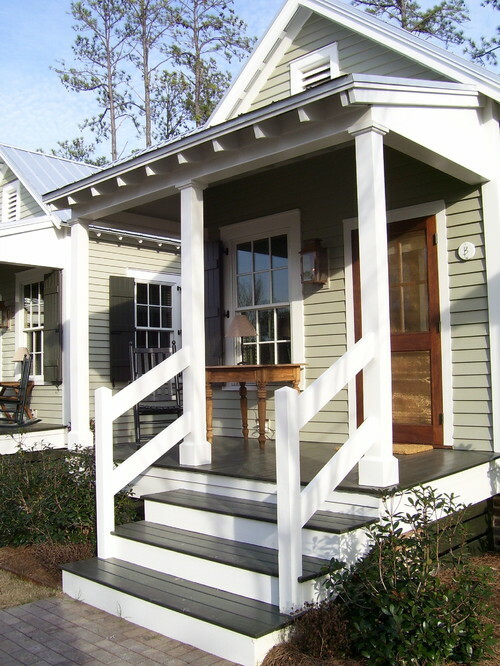 I love the first house with the cozy porch. I live in a cottage about 900 sq. ft. It is wonderful. It is so easy to clean. I only have to deal with one bathroom. I have had to edit our belongings but that is okay. This is the best place I have ever lived. The pros definitely out way the cons. Smaller is better. I have time to actually enjoy our home. I lived in Toronto most of my life and I always wanted a little bungalow and now I have it right beside the lake and a quiet community. Lovely pictures, thank you Jennifer. I love the first house and the Laguna Beach home – I love the wood! 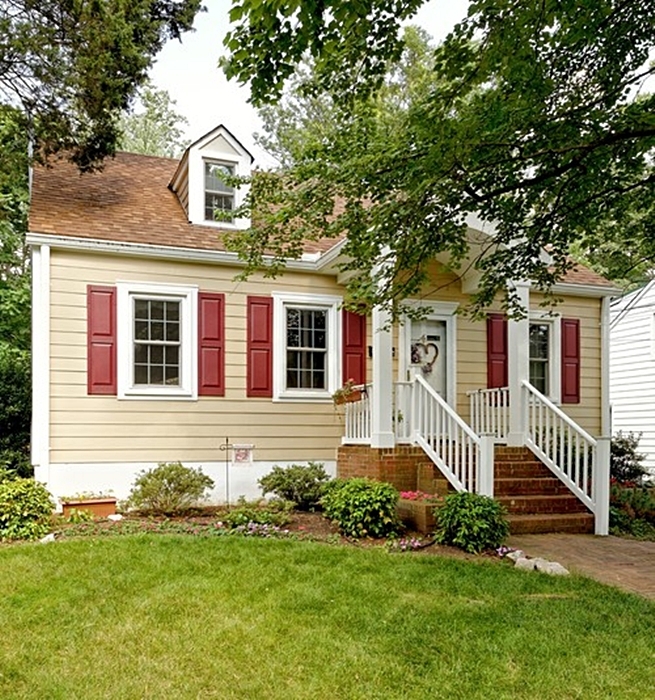 Our current house is 2700 square feet and I would love to downsize to something smaller. thanks for the great house walk! 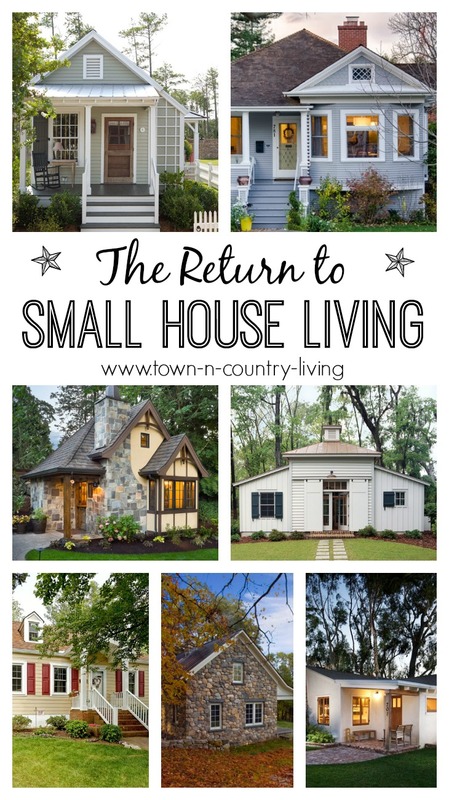 Love to live in any of them… I had been watching tiny houses on YouTube for about a week now while resting up from that terrible virus going around. I am amazed. With how much beauty is in a tiny cottage. I love the Laguna Beach house. 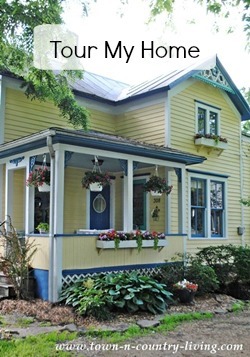 I think that I could actually enjoy a smaller home now that my husband and I have an empty nest. Adorable! Love them all but my fatal attraction to field stone forces me to pick that one. 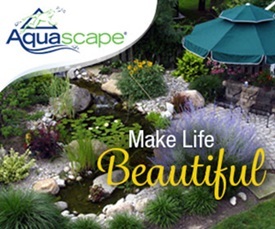 (I would love it if maybe someday you did a post on fieldstone features!) Small living is the way to go unless you can afford a maid. I lived in a 4,800 sf house one time – four bathrooms, full developed bsmt and me the head (and only) housekeeper -ugh – guess what I did with all my spare time – clean! So not worth it! A few yrs later I lived at a job site in an 800 sf cabin and it was a dream to clean. My new ideal house became one such as that – one that you could plug in the vacuum in the hallway and be able to do your whole house without switching outlets. I now live in a 1100 sf house and can’t quite make (a think a 10′ ext cord would do it) it but it is so much more manageable. My farm also has the quaintest little approx. 400 sf old character bldg, dormer window on one side and old style pane glass windows across the entire south side. At one time I hear it was a chicken house, then a machine shop with a concrete floor, now I use it at a potting/garden shed but dream of turning it into a little studio/guest house one day. I am not so sure I would not move into it myself though! If it weren’t for 5 cats, quilting and crafting, we could go much smaller than we are renting now. When it comes time to buy, we will certainly be looking for something with fewer square feet than we have now. I think it will be a test of how low will we go. We need a one-floor plan because of my knees, so the lofts I’ve seen on the teeniest of houses is out of the question. However, we could use one of those that size for living space, and another for sleeping and bathroom space. We are both larger women, so we must be able to move around comfortably. It will be fun when it comes time to buy a place. While my home is small, it’s not that small, but I am building a shop in my backyard so the collection you have is great inspiration for me, thanks! Although our home is about 1700 sq ft including an unheated back porch (read catch-all), it is perfect for us. And we do have rooms for visitors to be comfortable. Most of the mc-mansions have a lot of wasted space with 2 story foyers & super high ceilings. When I see that, all I can think of is how much it would cost for heating!! I love living in a small house! Last year we moved from a 3,500 square foot house (not including the finished basement) into a 1,200 square foot home in the country. I can’t tell you how nice it is to be able to clean the house in just a couple of hours (I’m talking deep cleaning). The ridiculously low utility bills are awesome, and we now have dogs, cats and chickens. We also have lots more time, money and energy to enjoy life. I wish we would have downsized years ago. I highly recommend it! Oh, I love the Tudor-style house! Of course, I would love to live in any of these little houses. 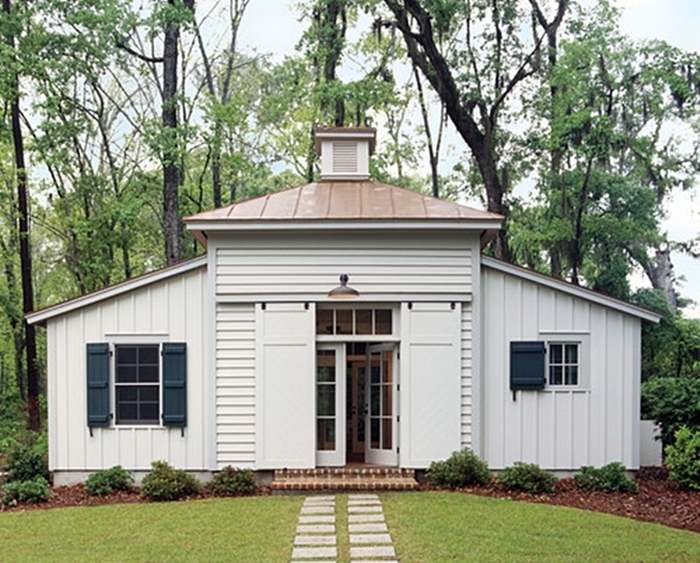 The older I am, the more I’ve become fascinated with the idea of living in a smaller home. I realize that lately I’ve been pinning more and more furnishings for small rooms. I cant believe how we’ve all bought into the whole bigger is better thing. How much “stuff do you need” personally, i am tired of spending all my free time working, cleaning and maintaining a lg house to impress people who rarely visit because they are too busy working to pay for their lg house, cleaning and maintaining to come to mine. Most of the rooms are seldom used, like a craft room, who has time to do crafts?! I’m seriously looking into this and am going to get rid if 90% of my belongings, which are all in storage and have been for 3 months now. If i can live without them for this long, i wont miss them. Im going to simplify my life and leave the rat race to others! I love so many of these. Thanks for sharing them. 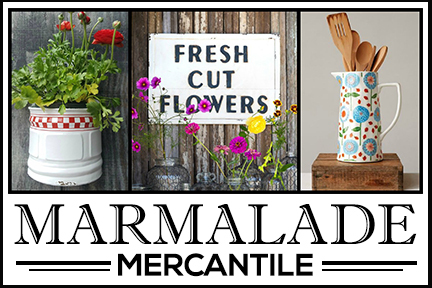 We downsized from 3300 sq ft to 682 sq ft in October and it was the best thing we ever did. I no longer spend all my time cleaning and can enjoy doing things with the kids. Although our house is a cute cottage I wish it had the charm of the tudor style above. All so sweet. I really love that last one the best and the first one. I find myself day dreaming about living small too. My house right now is 1,200 square feet but my first home was 728 square feet. It was just perfect for my daughter and I. I’m an empty nester now and would love to go smaller again. 700 might be a bit too small but around 900 would be great! The bungalow, the stone cottage or the the Tudor…..in a heartbeat!!! How do you figure the cost of one of these homes? Thanks for any info on pricing. Though I find the idea of “living smaller” appealing and the homes charming, I agree with you, Pamela. It isn’t practical for everyone. Our family of four lived for several years in a small log home. It is possible — but as you pointed out, it takes constant vigilance. And NO magazine subscriptions!!! I understand what you mean, Pamela. If one is a collector, messy or not on top of things all the time, it catches up quickly. We have a bigger house and I’ve been spending time purging…ie, my closet recently and gave away 8 pairs of shoes. It’s probably easier when you are by yourself, but it sounds as if you are coping with a lot of people and if each person isn’t a neatnik, it can be difficult. And, Katlady7, you are so right. no magazine subscriptions. I read them at the doctor’s offices or I bring any that I have and drop them off. I just donated over 100 hardcover books to my library. What a good feeling that was! A real win-win. Unfortunately, the McMansion trend continues in my area, and bigger than ever. Cheap, ugly homes surrounding a drainage pond. I grew up in a family of 5 in a 900sf post-war home with one bathroom, and that was typical for my neighborhood. We never thought of it as small (well, my parents probably did), but we had a lot less stuff in those days. Now, my husband and I live in 2200 sf, and we use every bit of it. I don’t want to live any smaller, or any bigger. 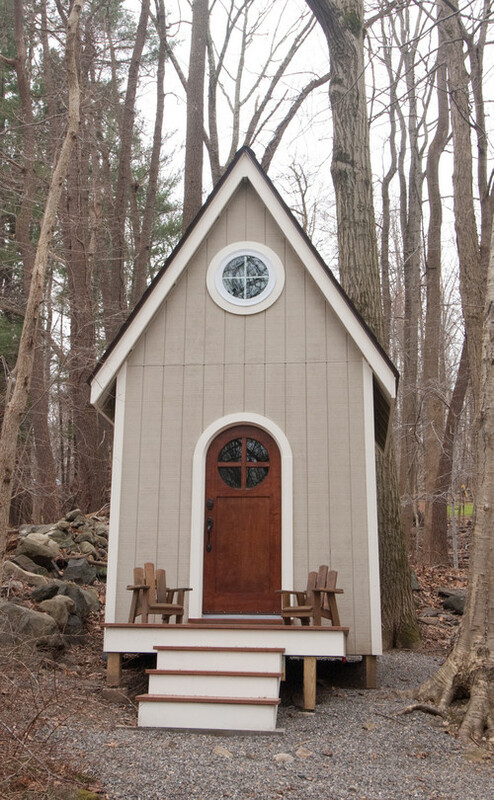 The truly tiny homes are cute and clever, but I wouldn’t be happy in one for very long. I’ve lived by myself in 1200 square feet, 2 bathrooms, for over 21 years and have lived in approx that amount of sq footage, or less, most of my life. I find it to be a good size, although the guest room is wasted space until you actually need it, which I do not very often need it. I could downsize a little to two bedrooms and one bathroom and be happy, but the movable Tiny Homes on HGTV are just way too small and the loft bedrooms were not intended for this 75 year old woman. I would not want anything larger. 1200 sq feet with 2 dogs is hard enough to keep clean. Oh, that little Tudor and the first one with the front porch are as cute as they can be!!! I would love to find a 1000 or less home. We have a 2200 sq ft 1915 Craftsman, with too much “stuff”. We really live in 4 rooms, kitchen, den, bedroom and bathroom. That is all we need. Kids gone, no grandchildren, just 2 stubborn corgis and 2 grouchy old cats. As long as you have room outside to entertain, and a guest room, that is all I need. We raised 3 kids for 10 years in a 900 sq ft bungalow, with a huge yard. Best years of our lives. I am ready for a small bungalow, someplace quiet,peaceful and pretty. And not CA $1M prices…it may take awhile to find. Less stuff and more life I say! Thanks for sharing these inspirational homes. I love smaller homes, not exactly tiny, but small. I have lived in small and larger (not McMansions) but large. I am sort of in between now but would love to go smaller, so much cozier. Every one has a different situation so must live accordingly, what works for one may not for another. I’ll take 2,3, or 8. They are really cute and some day when i get too tired to have my family over for for holiday meals i just might do that. My home now is only about 1600 sq.ft. It would be nice to have an eat in kitchen, two bedrooms and two baths and a smaller LR. No way could I live in a tiny house. I need room to breath. I have 2400 sq ft for the two of us and it is just right. 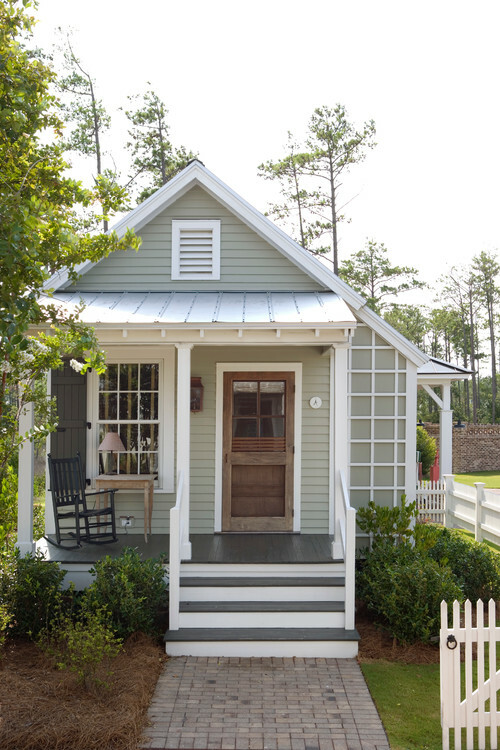 I absolutely love the smaller, cozier cottage-style homes. Now that my children are leaving home I’m going to down-size to a smaller home in the next few years. At this point I started donating, selling or giving away my bulky furniture (saving the things my boys would want, which isn’t much). All I need is 600 sq. ft. and my cats. LOL! Great blog! !